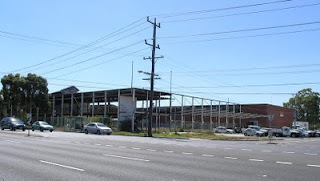 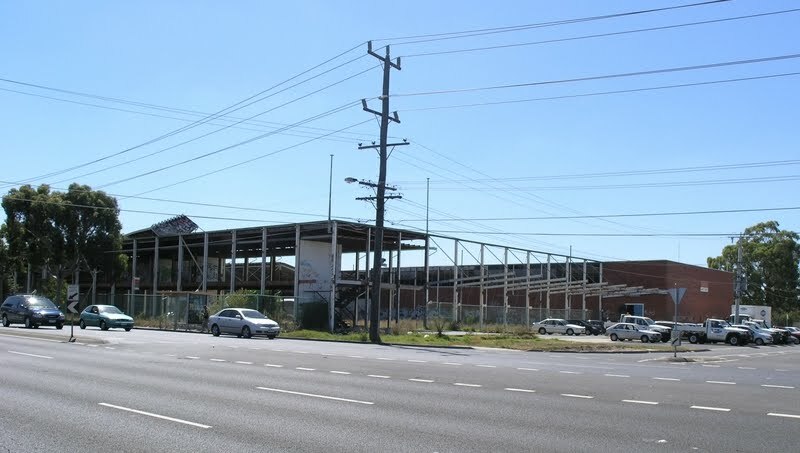 The former ETA Peanut Butter factory in Ballarat Braybrook is pretty much gone now. 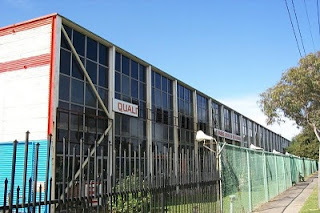 Once a shining modernist coloured glass box, designed by Frederick Romberg, and some of the framing is stacked. 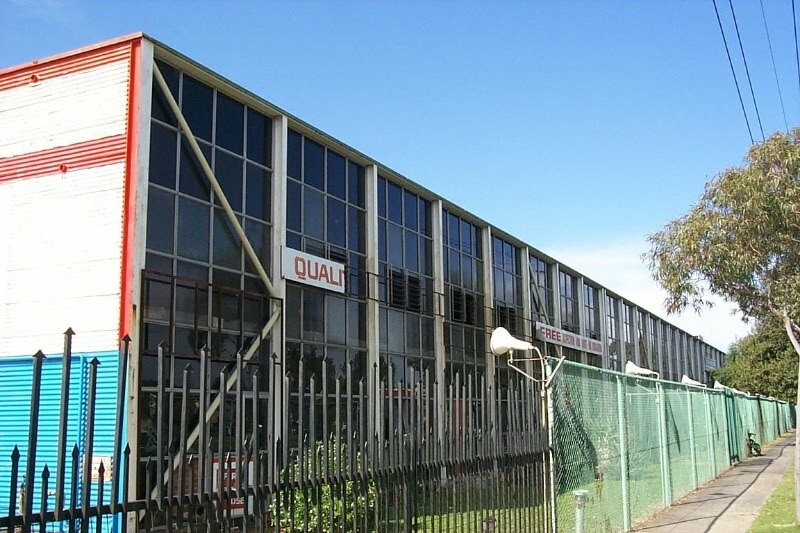 It was apparently the only Australian design included in the 1962 publication Industriebau, a seminal international text on industrial design, published by the German Institute for Industry. 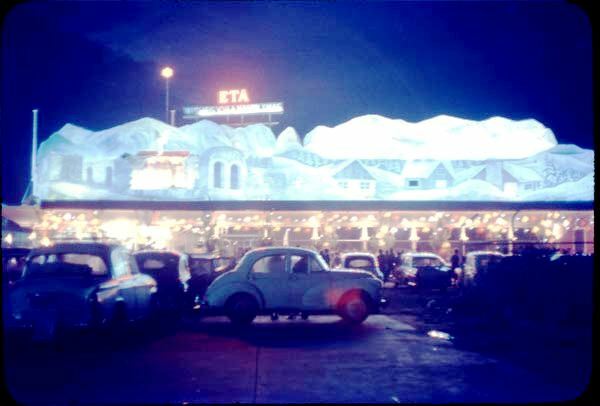 My recollection, however, is from the santa show done on the top of the awning - a sort of animated illuminated diorama.